Japanese pet food and supplement maker B&H Lives has launched a wine for cats called Nyan Nyan Nouveau (“Meow Nouveau”). According to its makers, the wine doesn’t contain any alcohol and is made with the juice of Cabernet Sauvignon grapes. 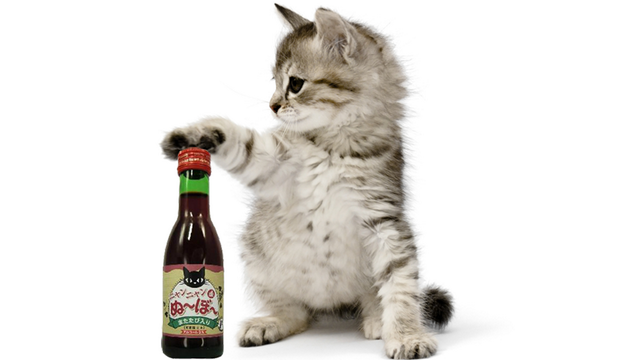 It also contains traces of catnip and vitamin C.
The product was brought to market after requests from pet owners for a drink their furry friends can enjoy on special occasions like Christmas and birthdays. The name is a hat-tip to Beaujolais Nouveau, released the third Thursday in November, as Japan is the world’s second largest consumer of the wine after Germany. In addition to Nyan Nyan Nouveau, the company also produces Wan Wan Beer (Woof Woof Beer) for dogs. Nyan Nyan Nouveau costs 399 yen (£2.50) for a 180ml bottle. Bottles are closed with a red screwcap and feature a cartoon black cat head on the label. B&H Lives has produced a limited run of 1,000 bottles. The company recommends treating your cat to the wine within a year of purchase. Dogs have also been shown some love in the drinks department this year. In January, an Oregon brewer released a beer aimed specifically at dogs. 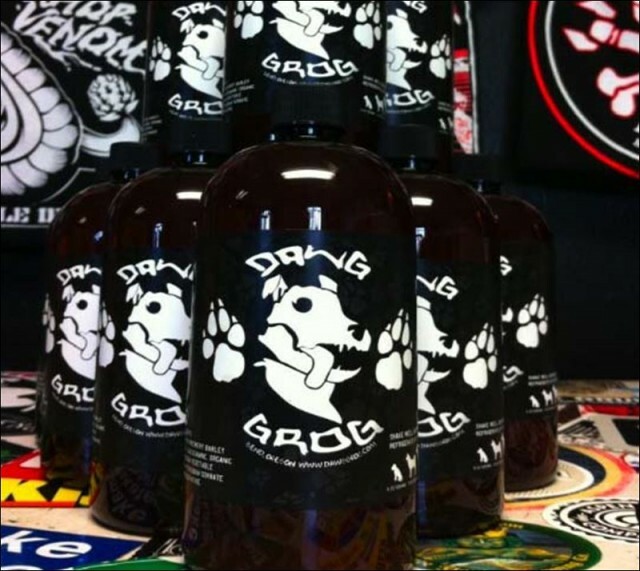 Dawg Grog was invented by Daniel Keeton of Boneyard Brewery after his dog Lola developed a taste for beer. The non-alcoholic beer is made from organic vegetable broth, spent grain, water and glucosamine powder containing ginger, cinnamon, flax seed and honey. Last year, Brandling Villa in Newcastle launched a non-alcoholic, beef-flavoured beer for dogs so that patrons have no excuse to leave their pets at home when they go out for a drink.